She went to jail and found freedom. Los Angeles, CA—Andrea N. Carr is a born storyteller. Her soul carries the passions and disappointments of a nation and her writing bares faultless witness to the truths of our time. 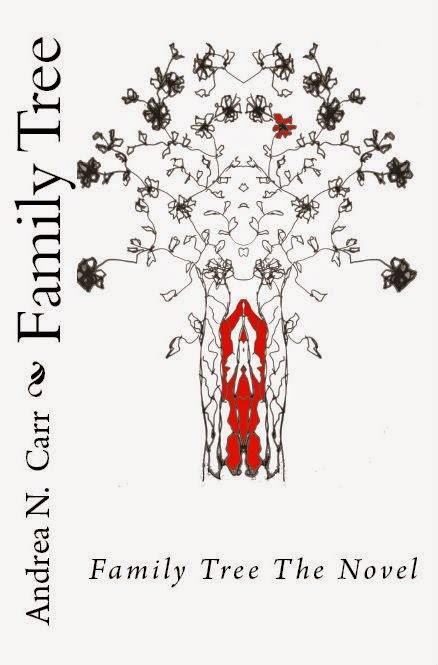 Her debut release Family Tree The Novel is a gripping ride into the heart of the average dysfunctional family. Her profound insights into the human condition echo Alice Munroe’s The Color Purple and J.D. Salinger’s Catcher in the Rye. “It’s about self exploration and family relationships, the drama which often exists in large families." Author Andrea Carr admits that she did not intend to be profound or lofty in her writing, she had a story to tell and she told it from a very real place. “I want to give writers, and people everywhere, some hope they can see – make myself an example of faith. I took a big leap, leaving everything behind to go to Spain and focus on getting my story out, gut instinct acting as a guide.” Without a doubt Miss Carr is the newest writing sensation in the literary world. "This is my time, because I can feel that energy coming from my writing every time I read it." Family Tree The Novel is the story of Angel Harper, a woman who went to jail and found freedom. This gritty and realistic portrayal of a mixed-racial family deals with death amidst the lies and half-truths of life bringing with it the heartbreak of self-realization and Angel’s understanding of what it is to be me. Miss Carr is currently writing a second novel in the Harper Family series. It is her goal to tour and share the true life inspiration behind this story.